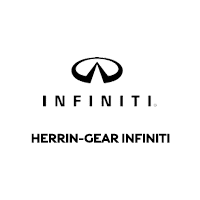 Herrin Gear INFINITI is proud to offer Jackson, Hattiesburg, Meridian, and Vicksburg drivers great selection and pricing when it comes to used cars, trucks and SUVs. Our dealership offers both used cars and certified pre-owned options. Our sales team is here to make your used car purchase a simple one. The best part? Our dealership has more than just used INFINITI vehicles. Our used car department has a variety of makes and models such as used Lexus, used Chevrolets, used BMWs and more. We always strive to provide great offers on a high inventory of preowned vehicles. Our preowned inventory is regularly updated, so make sure to check back often to find the exact used car you’re looking for. Know that we can find the right car for you at Herrin-Gear INFINITI! Since our used car dealership in Jackson Mississippi has such a variety of used vehicles, we have a preowned option for anyone’s budget. Feel free to take advantage of our price selector tool on our Pre-Owned Inventory page to see lists of vehicles in every price range – we even have used cars priced under $20,000! Our dealership prides themselves in Certified Pre-Owned INFINITI used cars, our dealership also offers options! 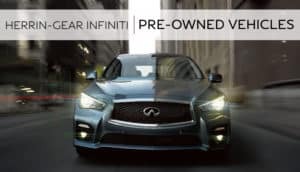 The INFINITI Certified Pre-Owned gives drivers the experience of owning an INFINITI at the price of a used car. All Certified INFINITI vehicles pass through a 167 point inspection and have up to 6 years unlimited mileage warranty. Learn more about the INFINITI Certified Pre-Owned Program. A new car’s greatest deprecation period is the time right after purchase. Did you know during the first 5 years a new car can depreciate in value up to 15%-25% per year? Our dealership knows variety is key when providing used car options. Our used car dealership in Jackson carries 150+ pre-owned vehicles. Looking for a used BMW? We have options! Considering a used Chevy? We have those available! Our goal is to find the perfect used make and model that you’re looking for in a used car. Comes Test Drive Our Used Car Inventory! Now that you know the benefits of making Herrin Gear INFINITI your used car dealership, it’s time for a test drive! Head out to our used car lot at 1685 High St, Jackson, MS 39202 or give us a call at 601-354-4900. We look forward to walking you through our options and answering any questions you may have!